Renovated & move in ready! New Roof roof, New vinyl exterior, New paint, New fixtures/fans, Newkitchen counter & New appliances! Hardwood flooring in the family rm, hall & all 3 bedrooms.Spaciouseat-in kitchen w/tile floor is open to the family rm. The bonus rm w/tile floor would make a greatplayroom, gym, office or 2nd family rm. Large laundry rm w/extra storage space is off of the bonus rm. Fenced private back yard w/covered patio. Less than 10 min to Ft.Bragg! Why rent when you can own! 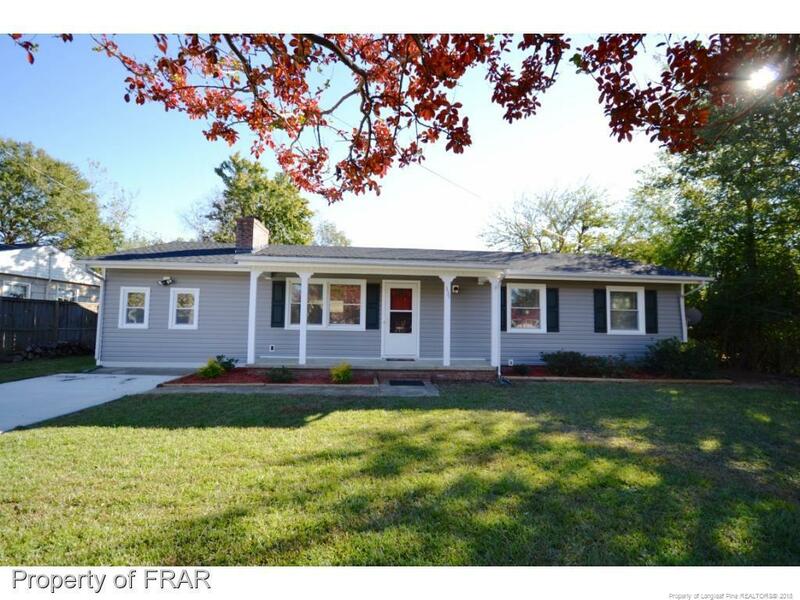 Loch Lomond $89,700 Remodeled 3BR home less than 10 minutes to Ft.Bragg! New roof, New vinyl exterior, New fixtures, New interior paint, New kitchen counter &appliances, New tile surround in the shower & more! Hardwood floors in the family rm, hall& all bedrooms. Tile floor in the kitchen, bonus rm & laundry/storage rm. Fenced backyardw/covered back patio. Less than 10 min to Ft.Bragg!